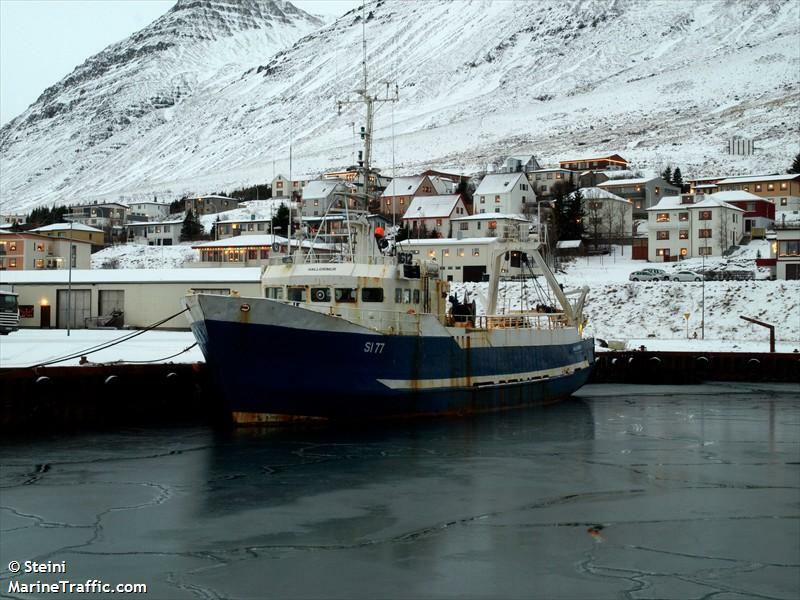 The fishing vessel Hallgrimur sank in the Norwegian Sea some 270 kilometers from Stad, Norway. The vessel with four crew on board was en route to Norway from Iceland to be scrapped. The Hallgrimur encountered a severe storm with high winds and 10 to 15 meter waves . The Norwegian authorities were alerted to the vessel sinking when the Hallgrimur’s EPIRB was activated. Helicopters were dispatched to the area where one crewman was found in the water. The crewman had his survival suit on and the helicopter pulled him from the sea. The man was delivered to Alesund where he was taken to hospital. Aircraft continued to search for the other three crewmen. Reports state an empty lifeboat and debris in the water, but no signs of the missing men.